I was born in Perth, Western Australia. Playing and competing in sports has always been a large part of my life and it is a national past time in Australia. I graduated with my Physiotherapy degree in 1986, spent time working and traveling the world until settling in New Hampshire in 1993. I currently live in Bedford, NH with my husband Colm. Our children have grown up and moved out so we are now empty nesters. I have worked as a Physical Therapist since moving to the USA. I also studied to achieve the level of Black belt in Kenpo karate and then transitioned into practicing and teaching Power Yoga. I still remember the night when my husband was talking about entering a Half Ironman. He had mentioned this so many times that I decided to sign him up for Timberman 70.3. Of course being competitive, I also registered myself at the same time. At that time I could not swim 50 yards without a break. I threw myself into training and fell in love with Triathlon. I love all aspects of Multisport. Setting goals, testing fitness, training, competition and most of all the triathlon community. My philosophy as a coach is to build sustainability, strength, and fitness both physically and mentally. Focusing on building muscular strength is what allows the body to endure the consistent training that is required to reach athletic goals. 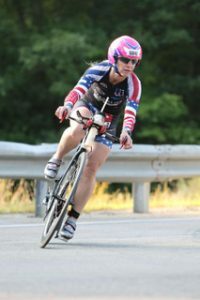 I believe every athlete can benefit from a coach, from a first-time triathlete to an experienced age group athlete looking for a new edge to their training plan. 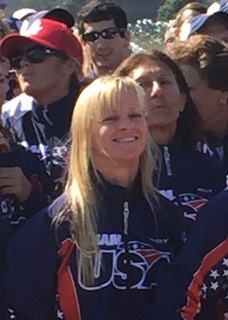 I am motivated by research and strive to continue my education in multisport to bring new information and training techniques to my athletes. I believe we really don’t know what we are capable of until we “give it a go.” I believe in good communication between athlete and coach to strive for a higher level of health, fitness and performance.